It is almost Valentine's Day! Babies and toddlers can be some of the hardest people on your holiday list to shop for. You don't want to leave them out on this special day, but what do they really need? 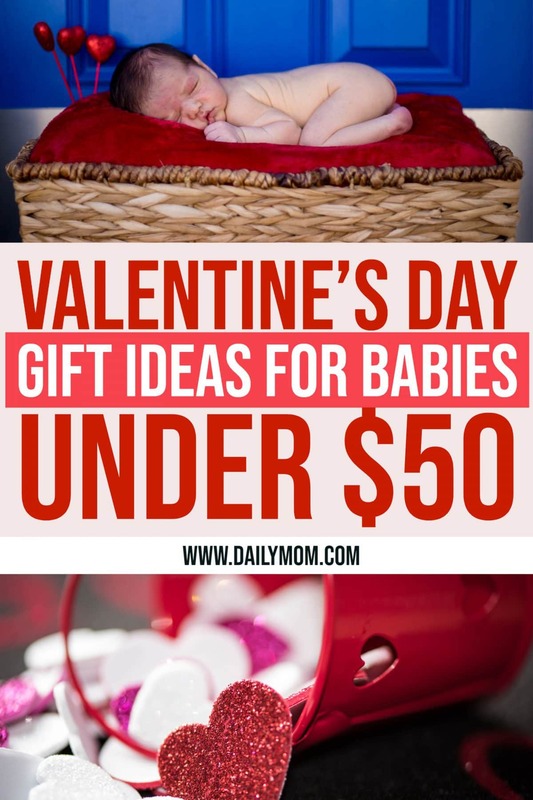 We've compiled our top Valentine's Ideas for Babies and Toddlers under $50, helping you to keep it simple and practical but still include them this Valentine's Day. 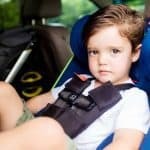 Getting your baby out and about during the cold winter months can be difficult. This Valentine's Day give the new mom and baby in your life the gift of freedom with a gift from Covered Goods. Covered Goods offers multi-use nursing covers allowing your favorite mom and babe to venture out anywhere. The cover can be used to hide baby away from all those well-intentioned albeit germy hands of strangers by covering the baby seat. It also serves a cute scarf that can be quickly turned into a nursing cover for a quickly feed. As you little one gets older it becomes a cart cover for those never-ending trips to the grocery store. The cover is made of comfortable stretchy fabric that is easy to get on and off. Covered Good truly is the most versatile gift all baby's mamas will love. Shopping for a young baby for Valentine's Day can seem frivolous. What can this little guy really need? All he does is eat, sleep, and poop. Well, if you have a baby it is inevitable they will need diapers. 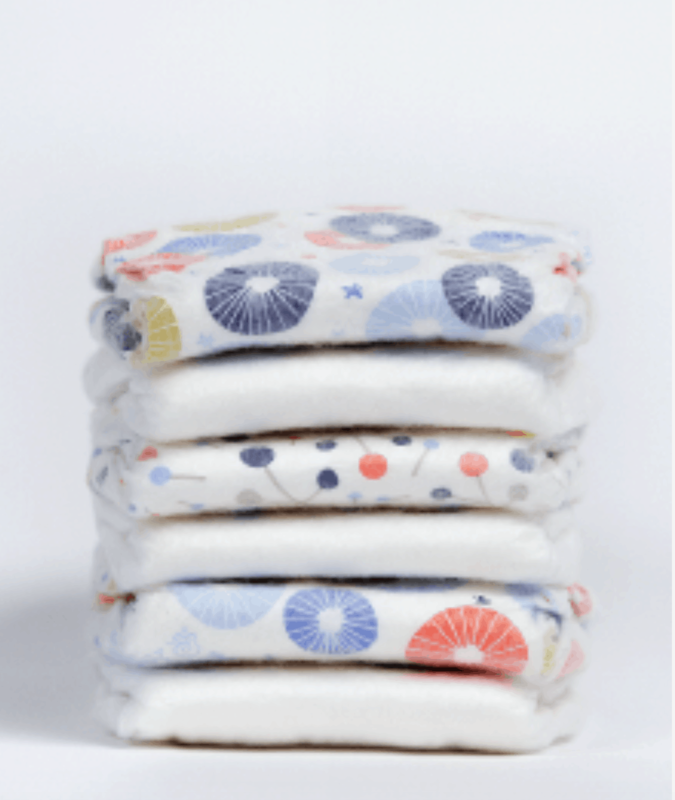 Receiving the gift of diapers delivered to your door? Well, that is what all new moms are dreaming of. 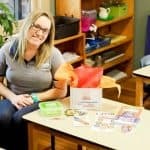 ABBY & FINN offers a subscription-based diaper service that takes diaper delivery one step further. With every subscription of diapers they send you, they will donate another to a family in need. These diapers are high quality, eco-friendly, and affordable. 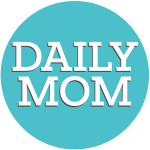 What better way to spread love this Valentine's Day than giving the gift all moms really want with a subscription to ABBY & FINN. 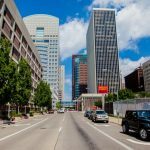 February may not be the month that screams fun in the sun, but summer isn't far away. If you have any upcoming beach plans, Valentine's Day would be a great time to gift a Sunkito, Anti-UV Pop-Up Play Tent with Mosquito Net. 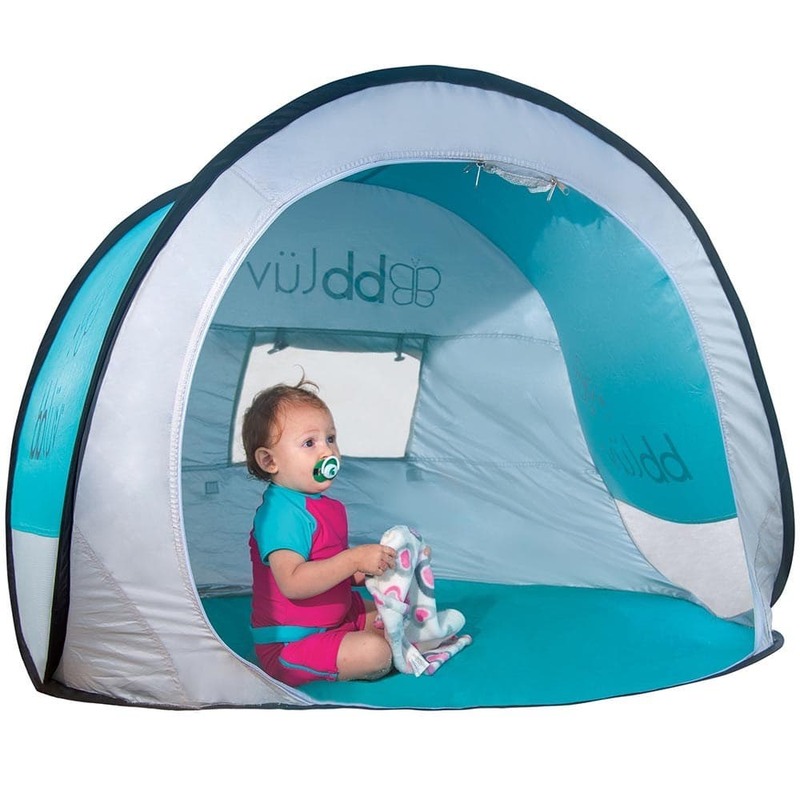 It easily folds for travel making it the absolute perfect tent to pop up for playtime outside. The tent has a roll down curtain for extra sun protection, plus four side openings for ventilation. Give the gift of flexibility for outdoor exploration with the Sunkito, Anti-UV Pop-Up Play Tent with Mosquito Net. Sunkito, Anti-UV Pop-Up Play Tent with Mosquito Net. Baby accessories are so fun! But shoes can be tough. 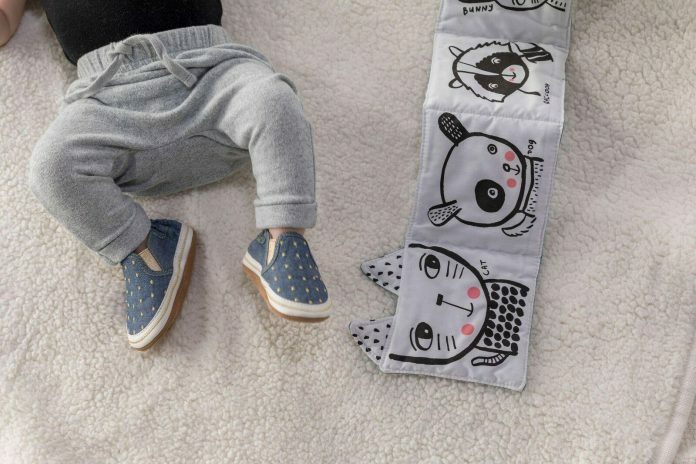 They are always slipping off or are too hard to get on chunky baby feet. Zutano solves all of those problems. They are where function and fashion come together in teeny-tiny form. The Zutano Cozie Fleece Stay-On Baby Booties are the perfect gift for Valentine's Day this year. The name says it all. They are comfy and keep wiggly baby feet cozy. 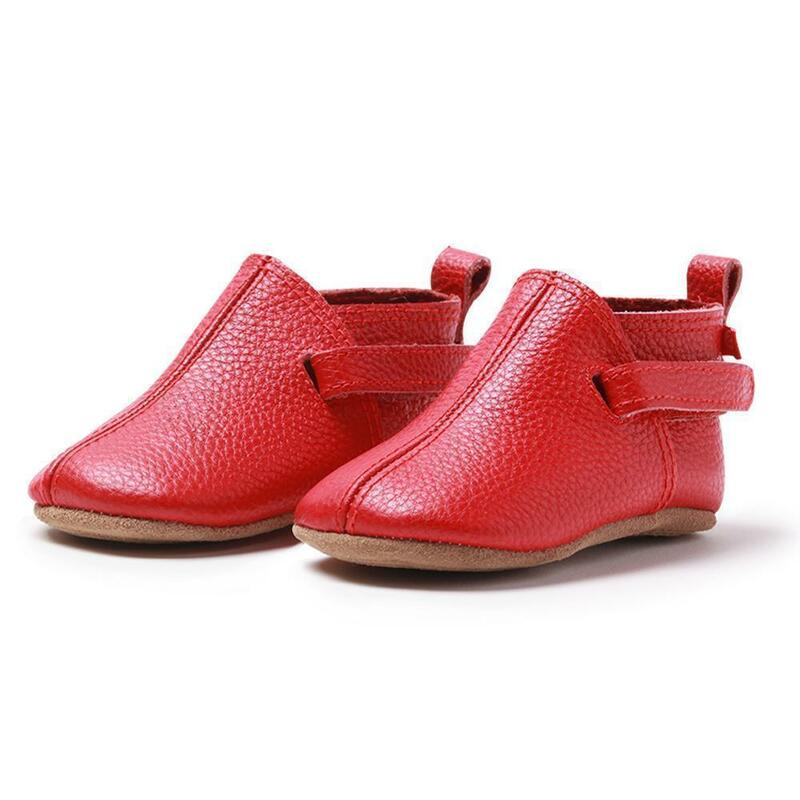 We also love the Red Leather Baby Shoe this Valentine's Day. 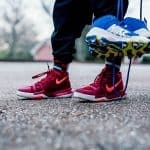 They are a soft-bodied shoe designed for comfort and versatility. Give the gift of warmth and comfort to wiggly baby feet this Valentine's with Zutanos. New parents have a lot going on, running up and down the stairs for diaper changes shouldn't be one of them. That is why all new parents will love the gift of the b.box diaper caddy this Valentine's Day. 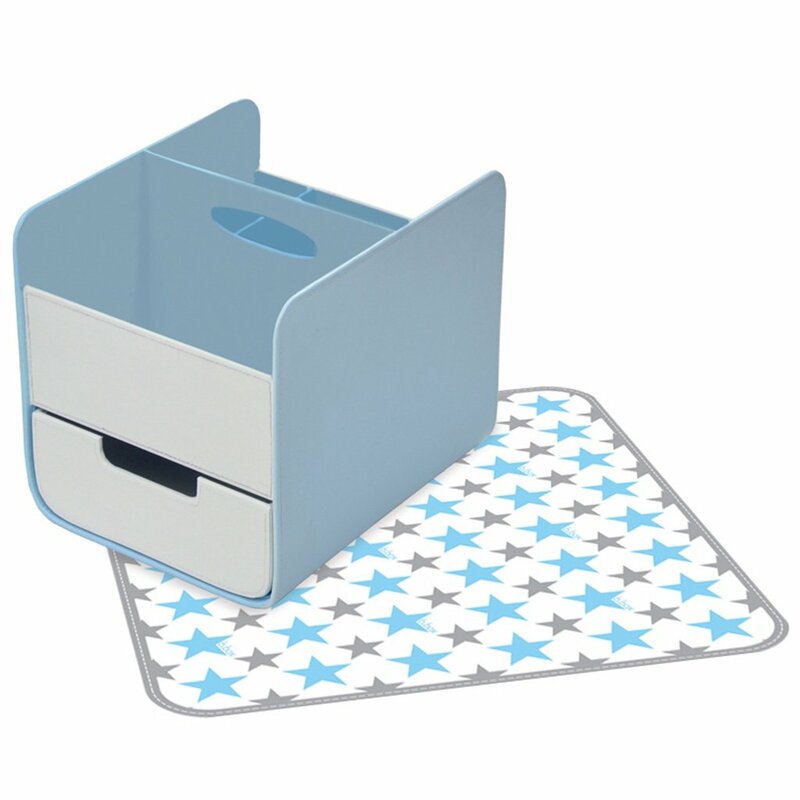 The diaper caddy is ultra light and portable. It organizes everything one would need to change baby wherever and whenever. Perfect for organization on the changing table, or keeping extra diapers and wipes on hand in mom and dad's room or the living room, the b.box diaper caddy is a new parent necessity. Cuddly babes are one of the best parts of parenting. As mamas, we long for those moments of sleepy smiles and quite coos. At night, when must lay our sweet babe down for the evening we want something to cuddle and swaddle them just the way we do. ergoPouch does just that. 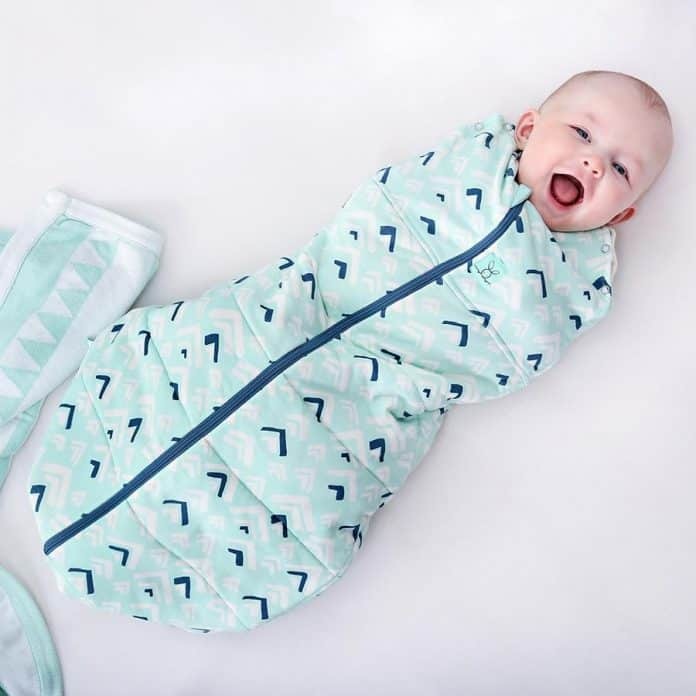 The Cocoon baby Swaddle Bag is easy to use but hard to escape. Meaning you can sleep soundly knowing your baby's arms are safely tucked inside and no sliding or slipping will happen. Sleeping babes are the best. Watching their little eyes flutter as they dream with that quick hint of a smile, is one of the best joys of parenthood. The Love Blooms crib sheet by Rookie Humans is the perfect place to lay your babe to rest. It is made of 100% organic cotton sateen with a 230 thread count. Illustrated by Ellen Giggenbach, this unique crib sheet with look perfect when taking pics of your sleeping babe this Spring. 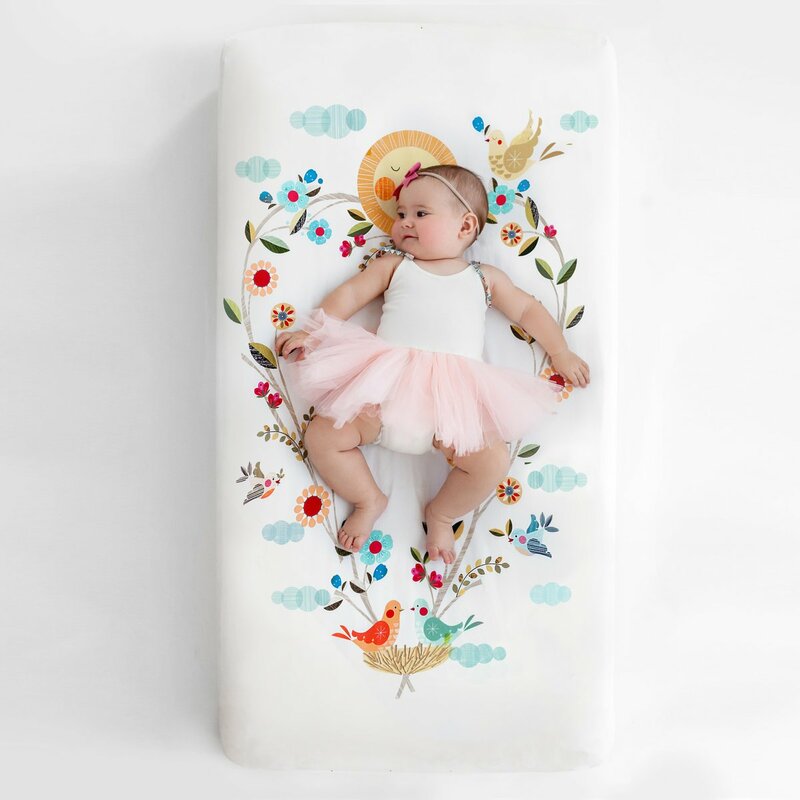 Add a dose of sunshine to your nursery this Valentine's Day with this beautifully designed, artistic crib sheet. Stylish footwear is the perfect gift for your tiniest Valentine this year! Little feet need big style and Robeez is dressing up tiny toes in a big way with their Spring 2019 collection. 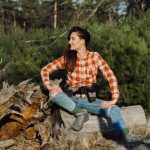 Robeez makes “functional and fashionable” a reality. Having received the Seal of Acceptance from the American Podiatric Medical Association, these shoes are designed to work with your baby’s feet and support their natural growth. These soft-soled shoes are made with high-quality products, so you will love how your littlest love looks! 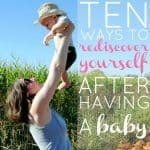 Every new mama could use a bit of stress relief in her life. Calm her night time woes with a soft and beautiful sleeper from Magnetic Me. Magnetic snaps make for easy on and off. 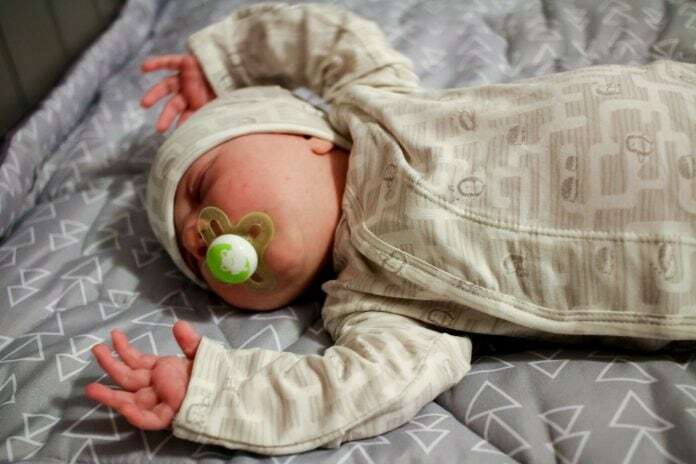 Comfy and cozy, your baby will sleep better without loud noises and jostling during evening diaper changes. Every Mom-to-be deserves a little pampering this Valentine's Day. Give the gift of all of her favorites from Earth Mama Organics with the A Little Something for the Mama to Be gift set. 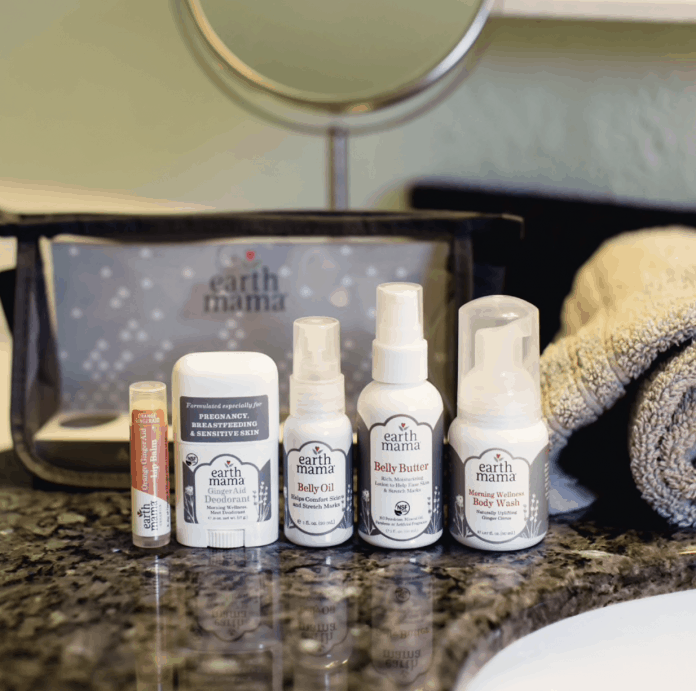 Included are deodorant, body wash, belly butter, belly oil, and lip balm - all the essentials for keeping her skin happy and healthy while her belly grows. 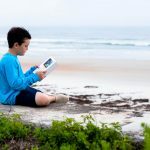 If you took a survey asking teachers what you could do to make their lives easier, they would say label your kid's stuff. Stuck On You is the ultimate in kid's labeling. 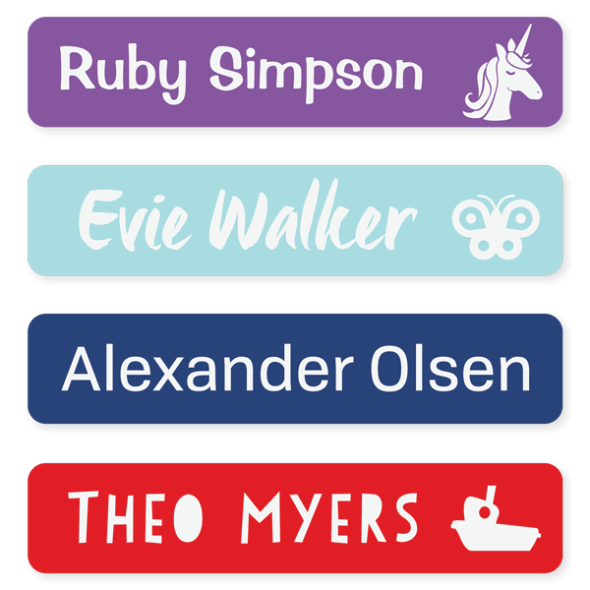 Choose your pattern, your font, icon, and the type of label you want and you will be able to make all your teacher's dreams come true this Valentine's. What better gift for Valentine's Day than a book that encourages self-love? 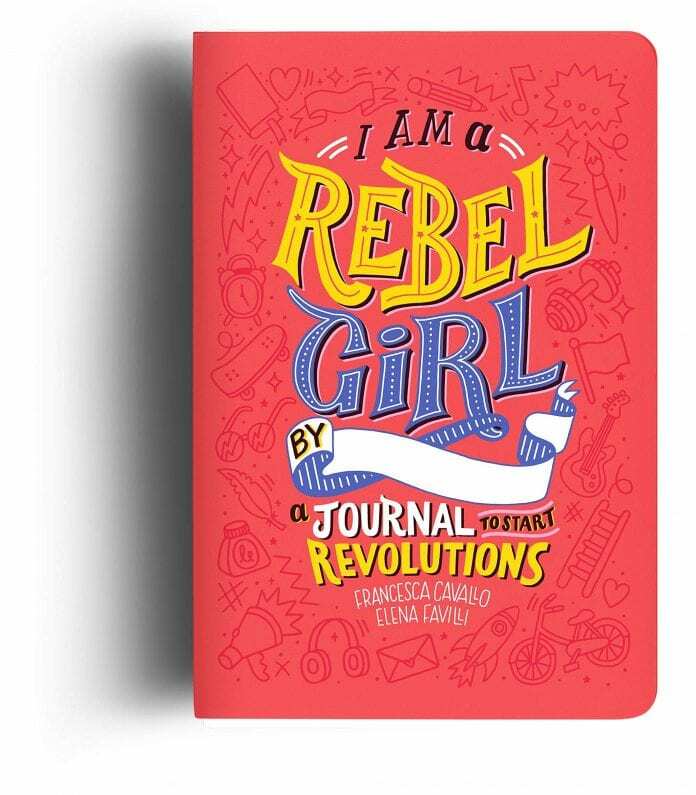 I Am a Rebel Girl: A Journal to Start Revolutions is filled with activities to make girls think, encourage self-love, and activism. 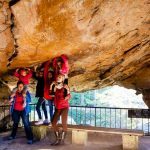 Girls come into their own by crafting and creating a special place for their ideas to take life. We haven't met a little kid yet that doesn't like to eat. Now, getting them to eat the foods we want is another story. That is why we love Luckybar, Kids Protein Bars. They are packed with protein and low in sugar, carbs, and have no fillers or preservatives. The best part is that kids will love them! Skip the candy bars this Valentine's and give these protein packed bars from Luckybar instead. Babies and toddlers are sure to be the cutest on your Valentine's Day list this year. Show them a bit of love with practical, yet thoughtful gifts this year that are sure to be used. Trust us, all new moms and dads will thank you for any of these simple, stylish, and useful gifts. 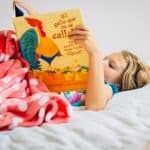 Check out this article on Fun & Easy Valentine's Day Photoshoots to do with your Kids.